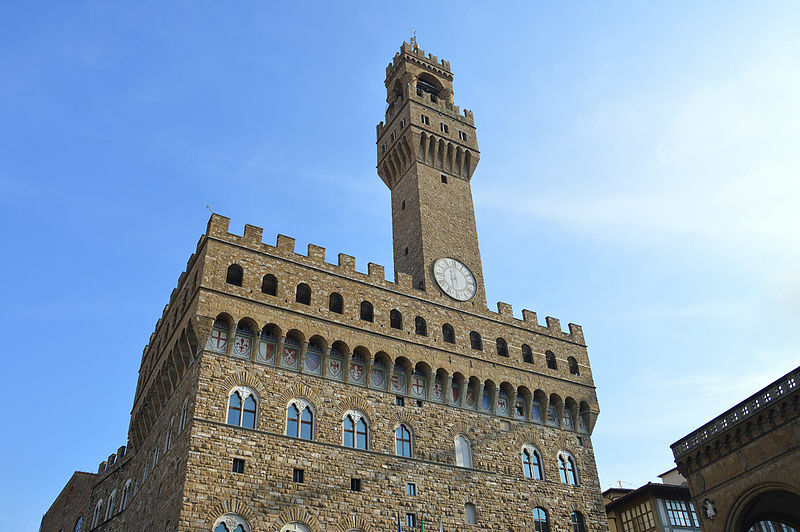 The tower of Palazzo Vecchio in Florence was built around about 1310 when the building was nearly finished. Incorporated onto the façade, the tower rests only slightly on the underlying masonry with a very daring architectural solution. It bears the name of its designer Arnolfo di Cambio, thus Torre di Arnolfo and is 94 metres high. The tower is completely decentred respect to the building and contains two small cells which were used for prisoners. 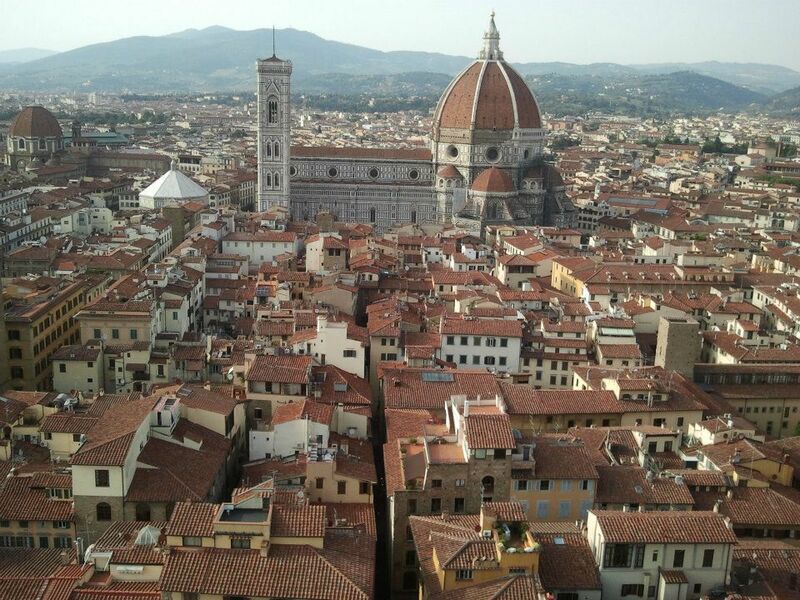 The smallest one is the ‘Alberghetto’, ‘little hotel’, whilst the larger one is sadly renowned for having imprisoned Cosimo de’Medici the Elder in 1433 and Girolamo Savonarola in 1498 before being hanged and burnt on the below square of Piazza della Signoria. The Tower has three bells, of which the oldest one was cast in the 13th century. 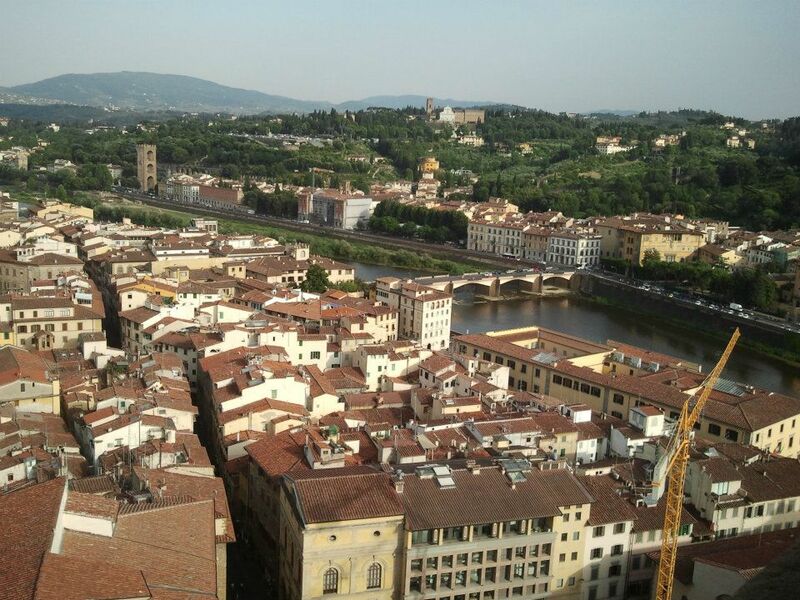 Each bell has a different purpose: the Martinella calls the Florentines to gather, then there is the Midday bell, while the largest one chimes every hour. Below them is a large, one-handed clock, originally built in 1353 by the Florentine Nicolò Bernardo, but replaced in 1667 by a replica made by Georg Lederle from the Augsburg, Germany, and installed by Vincenzo Viviani. Now both the Torre di Arnolfo and the chemin de ronde can be visited. Open from April to September every day, except Thursday, from 9 am to 9 pm, on Thursdays from 9 am to 2 pm, from October to March every day, except Thursday, from 10 am to 5 pm, on Thursdays from 10 am to 2 pm. Full price ticket costs 10 Euros. A ticket including also a visit to the Museum costs 14 Euros. In case of rain, all visits to the tower will be suspended. 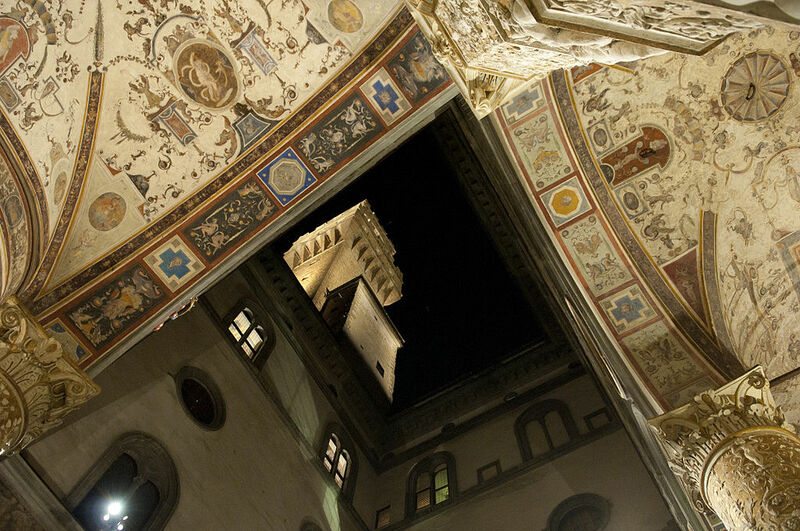 Questa voce è stata pubblicata in Breaking news, Events in Florence, Florence, Tuscany e contrassegnata con Arnolfo di Cambio, Palazzo Vecchio, Torre di Arnolfo. Contrassegna il permalink.